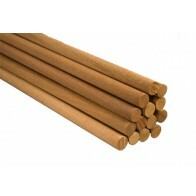 A great alternative to traditional dowels - pack of 4 hollow pillars, 6 inches high, which can be pushed straight into your cake. 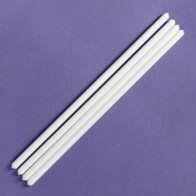 25mm (0.9 inch) diamater. 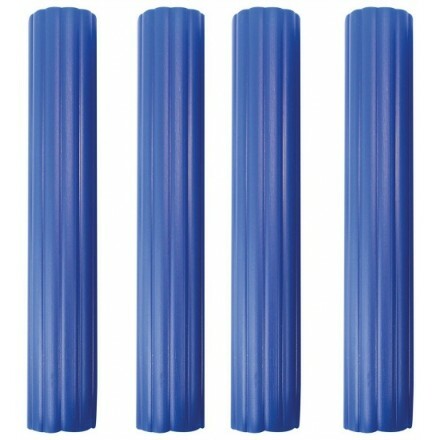 These give extra stability and work very well for stacked cakes where you want to leave gaps between the tiers for inserting flowers. 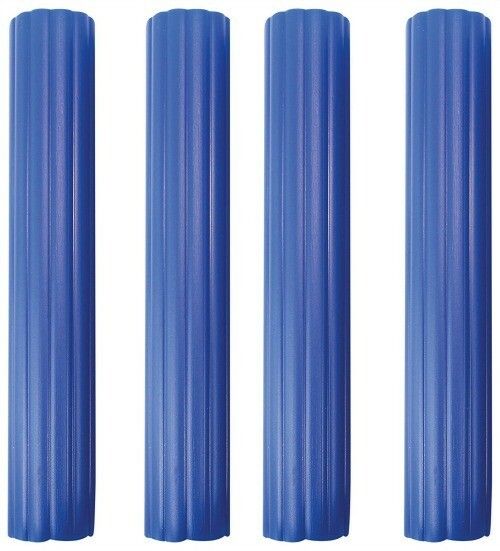 Pack of 4, blue, made by PME.